One of the perks of belonging to a CSA is that you always know exactly how fresh your produce is. There’s no wondering how long it took to reach your supermarket from the time it was picked or how long it then sat in the produce section before arriving at your home. These peas were picked at the height of perfection and arrived at my home ready to shell. I had originally considered using them in a pasta of some sort, but as I was thinking about what we should have for dinner last night, I decided that I wanted to do something much more simple. And you really can’t get much simpler than a pat of butter and a little salt! The key to this “peas recipe” — if you even want to call it that — is in the timing of the cooking. Overboiled, mushy peas are so blah. You want to cook them just long enough to warm them through, but they should still be crisp enough to burst in your mouth upon biting down. Perfection! Bring a saucepan of water to a hard boil. 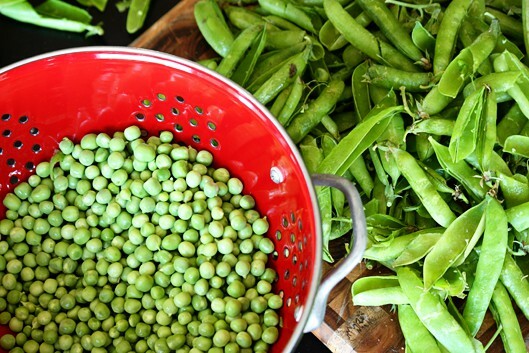 While waiting for the water to boil, shell the peas into a colander and rinse them. You should have about 2 1/2 cups after shelling. Boil the peas for about 60 seconds. When they all rise to the top, they’re done. Remove them from the heat and drain immediately. 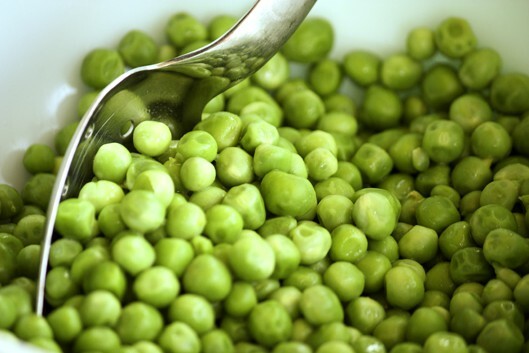 Toss the cooked peas with butter and salt. 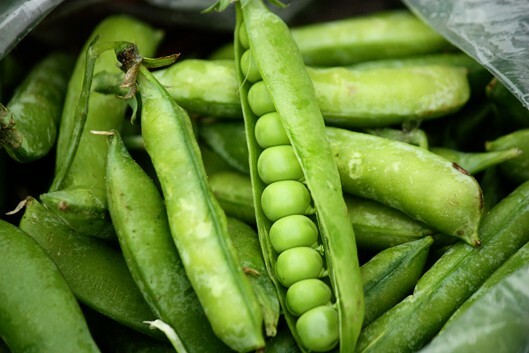 Fresh peas don’t need cooking at all – they are perfect right out of the pod, sweet and so yummy! Just don’t let them sit too long or the sweetness will turn starchy. We plant them every year and my kids fight over them – yes, they FIGHT over peas, that’s how good they are right off the plant. These are the most beautiful peas I’ve ever seen. I love, love, love this recipe and it’s beautiful simplicity. Thanks, Georgia! That means a lot to me coming from you. I really enjoyed hearing you speak at BlogHer Food this year!